Strassburger Windows and Doors have been designing and manufacturing beautiful and technically superior windows for the replacement, renovation and new construction industry since 1984, both residential and commercial markets. Our innovative window systems are made with multi-chamber PVC frames and insulating glass that provide thermal and structural performance in a wide range of styles, sizes and shapes. And in a finish to complement your interior and exterior design. Perfect for any lifestyle, environment and architectural application. 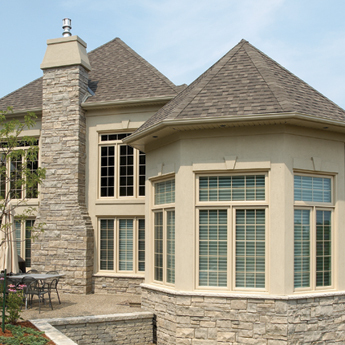 We take great pride in our ability to produce exceptional windows. We’re not just pushing glass and vinyl down an assembly line, we want to make sure that when you look at our windows you’ll see the craftsmanship that went into making them. We believe we build the best windows in the industry and we’re so confident we guarantee our windows for life. That’s added resale value and added peace of mind. A beautifully designed window is nothing without proper specification and professional installation.To find a Strassburger Windows and Door Certified Dealer in your area call 519- 885-6380 or send us an email.